Biofuels Powering up the Future The integration of sustainable carbon neutral biofuels can meet a large portion of the world’s energy demands and can be simply integrated into a residential energy system. 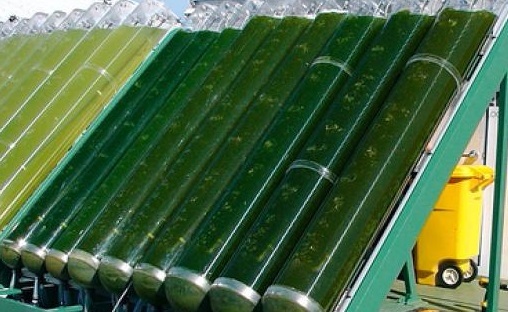 Algae hold a great potential as a biofuel because of their high growth rate, better utilization of sunlight in contrast to conventional plants, easy production, shorter lifecycles and independence from fertile agricultural land whereas biofuels grown on agricultural land compete with food production that lead to an increase in food scarcity and increased food prices. Growing algae is a promising strategy to make biofuels such as biogas or biodiesel to provide a renewable source of combustible energy. Additionally, the carbon dioxide emission from engines such as an electric biofuel generator or other combustible exhausts can be used to provide one of the main nutrients for algae namely carbon dioxide providing a method to sequester carbon dioxide from the atmosphere providing an additional benefit to the environment. Another promising method to produce biogas is to process all biodegradable wastes including sewage, kitchen wastes and garden wastes in an anaerobic digestion reactor which can also be supplemented with algae to increase biogas production to meet the household’s biogas needs. Biogas can be used in a residence to provide for cooking, water heating and to produce electricity by a biogas generator. The advantage of biogas production is that the procedure is simple and cost efficient. Furthermore, it is compatible with prevalent natural gas appliances and vehicles. An additionally appealing aspect of biogas is that gasoline powered cars and engines can be easily converted to run with biogas. Coupling a carbon sequestration method as described above by feeding algae with the households carbon dioxide exhaust and the liquid effluent from the biodigester provides a method for residence households to engage in reducing the atmospheric carbon dioxide emissions!